Marcela Valladolid had checked off all of her requirements when it came to success. A longtime professional chef and cookbook publisher, she seemed poised to attain even greater heights, including hosting shows on The Food Network and cooking meals for President Obama in the White House. But something wasn’t quite right. Despite all the evidence that a lifetime of hard work had paid off, Marcela could not say she felt truly happy. She received recognition and followers, and the money came in, but it all seemed empty – bereft of meaning. Despite her immense success on paper, Marcela felt that she had completely lost her spark. A sense of significance is one of the six basic human needs – six needs that all of us, no matter where we are or what we do, must fill. What qualifies as significant varies from person to person, but we can simplify it by saying everyone wants to feel needed or important. Our society has programmed us to obsess over success and to achieve it at any costs – but the definition of success so many of us strive for is exceptionally narrow. Often it includes checking off the following boxes: promotions, pay bumps, a big house, a prestigious job and so on. We continue to work toward these things, because that’s what we’ve been taught to do, but sooner or later many of us – including Marcela – find that all the trappings of success just aren’t enough. Tony Robbins helped Marcela realize that while she had achieved great success, she was not fulfilled. It seems like the two should go hand-in-hand, but they often don’t. Are you ready to break down the barriers between yourself and the life you want to live? 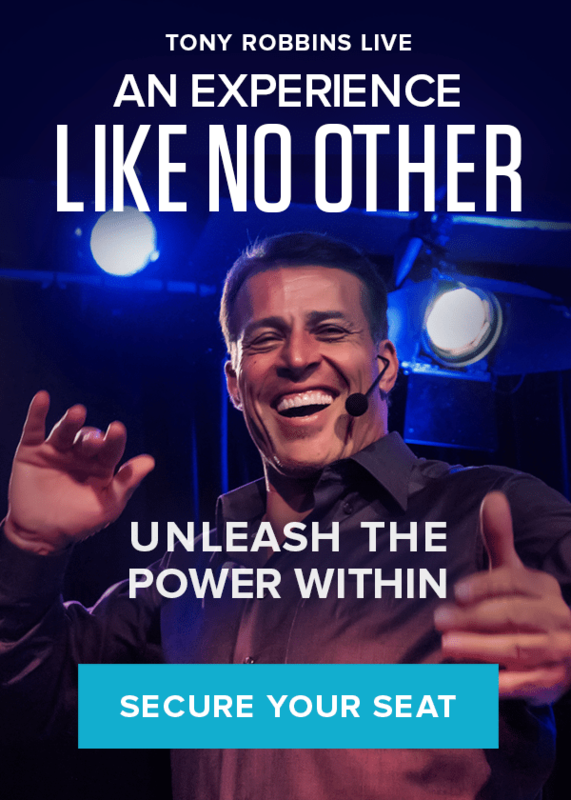 Attend Unleash the Power Within and immerse yourself in the strategies that will help you create an extraordinary life.